A serial conman has been jailed for eight years after admitting a string of frauds on people in the March area. Matthew Holloway, (46), told his victims he had a multi-million pound trust fund but needed money for solicitor and HMRC fees in order to release the cash. But Peterborough Crown Court heard this was a lie and Holloway intended to pocket the victims’ money himself. In April this year, police released pictures of Holloway in a public appeal to trace him. He was arrested on May 12 in a pub in Coventry. Holloway pleaded guilty to four offences of fraud by false representation between November 1, 2014, and November 1, 2015, and asked for three further offences of fraud to be taken into consideration. The total amount fraudulently gained by Holloway was about £130,000. 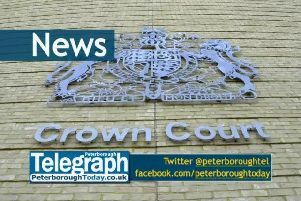 Today (July 8), Holloway, of Northfields, Syston, Leicester, who was convicted for similar fraud offences in 2006 and 2011, was sentenced at Peterborough Crown Court. DC Mark Yendley, who investigated, said: “Holloway is a devious and manipulative man. He would tell people that he had a trust fund set up by his late father, which contains millions of pounds. “This was definitely not the case and there was no trust fund at all. Holloway would then inform his victims that he could not access the trust fund at the moment for various reasons such as the HMRC had frozen it until he pays a fine or he had to pay solicitor fees.